Some of us look back with fondness at those individuals who inspired us and became our role models. Often, those same people were held at that level of esteem because their beliefs and work were somehow parallel to our own. Looking up to these role models made us feel comfortable and connected at a level that almost felt spiritual. In the world of food we all know their names – Keller, Trotter, Bastianich, Ripert, Bocuse, Escoffier, Pointe, Puck, Shire, Robuchon, and so on. Truly, all of these chefs broke new ground at some point in their careers and touched thousands of chefs as they developed their own version of their mentor’s style. As strong as these chefs were or are, they made their mark as proponents of food as we have grown to know it and operators of restaurant business models that fell into step with what we have collectively deemed as “proper”. I have always been, and continue to be a strong advocate for respecting and promoting the structured ways of preparing and presenting food just as these mentors did or continue to do. However, is this what will move the restaurant industry forward? I don’t know, nor do most who try to analyze where the restaurant business is headed and where it will land in 20 years or so. In nearly every other industry – the past twenty years have been, to put it mildly – disruptive. In other words, an industry (pick one, anyone) of 1998 is likely unrecognizable today. Some may view this as tragic while others have visions of great opportunity. Leading the charge of these changes is a handful of business disruptors who have the uncanny ability to set aside the way things are and look at what they might be. This “might be” is more often than not beyond the average customer’s ability to see or even initially embrace – but they will. The point is everyone needs to pay attention to disruptors, even if they are part of an industry that seems far removed from your own. These disruptors see things that we do not, sense change in the air and learn to not just conform to it, but push change to the limit. In the process they reinvented products, services, and experiences, and created a need before the needy even had an inkling of desire. So, here are a handful of disruptors that we can all learn from – even chefs. If you want to be inspired then take the time to view each of the links. Kamen is a brilliant inventor who has championed the need to invest and rely on technology solutions for the challenges that we face. He has developed hundreds of patents and designed products for the healthcare industry, but is likely most known for his invention of the Segway personal transportation device. Although it never caught on large scale, the thinking is revolutionary. His contribution as a disruptor is to always look for solutions to challenges and never give up. The chef owner of Atelier Crenn and Petit Crenn has totally destroyed any barrier that may have existed for women chefs and restaurateurs. She was rated the Best Women Chef in 2016, but more importantly she demonstrates that her distinction is as “chef” – not woman chef. 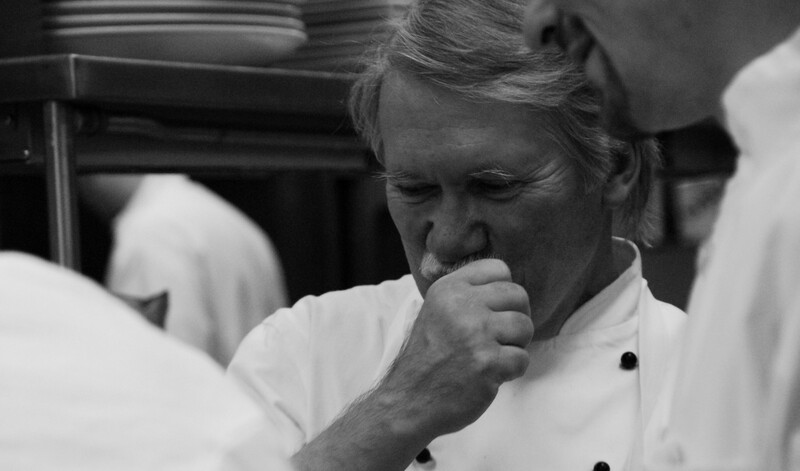 We need to break down those separations – a great chef is a great chef. She blends here French background with Japanese styling while maintaining tight control over the business. She is a disruptor who breaks down barriers simply because she is good at her craft. If you are reading this article on your cell phone then you owe a debt of gratitude to Steve Jobs for bringing the smart phone to life before anyone realized that everybody on the planet needed one. Placing the power of a full-service computer in the palm of our hands was a challenge, but Jobs was never one for bowing down to a challenge. It was his insistence that made it happen even though engineers and programmers were not sure how to confront the problems that they faced. His role as a disruptor continues even after his death. Jobs challenged numerous business models: telephone, computer, music, video, gaming, personal health, design, chip manufacturing, the glass industry, and the personal assistant with a mantra that we can all learn from: “Don’t sacrifice quality for anything and when it is perfect then don’t be afraid to charge for it and whatever you do – keep it simple and user-friendly.” If you need a manual to figure out how to use something then you have failed. He changed our world. Molecular Gastronomy has been around for a decade and it may never become mainstream, but it still thrives. I am not a big fan simply because I don’t really get it, but I admire those who push the envelope. Chef Achatz is a disruptor because he challenges all of us to ask “why” and “why not”. When we look at food as he does we begin to unlock all kinds of interesting possibilities. As the Director of Sonoma County Wine Growers, Karissa has a vision – to make the Sonoma Wine Country 100% sustainable. This not only pertains to how the crops are grown and the wines are made, but also to the community of people who are essential in the process. She is the strongest advocate for taking care of the people of wine – the harvesters, processors, owners and families. She continues to push for affordable housing so that they do not have to depend solely on transient workers, but rather a community of residential wine people. She works as well on creating affordable childcare for farmers and processors. She is a disruptor because she sees every challenge as an opportunity. If you put in the effort and commit yourself to finding solutions – they are there. Blue Apron has had it’s ups and downs, just like any start-up company, but at the core of the business is an incredible concept that is poised to shake up grocery stores and restaurants. The belief is that people want to cook, but aren’t comfortable with the craft. They want to use fresh ingredients, but don’t have the time to shop. Want to eat food that is good for them, but can’t find the time to plan and execute to that end. So…why not a business that takes care of setting that stage for you and delivers everything ready to fit into your busy lifestyle. Brad is the new CEO with a vision to push the company through its challenges and build on a model that is disruptive, but very much on point. We need to pay attention to this because the restaurant that gives home meal replacement little hope of success may be in for a surprise. Kavita’s company: FreshPaper is truly breakthrough. Think about it – her vision was to solve the world’s food problem by attacking the issue of spoilage and facing the challenge of minimizing the 25% of the world’s food crop that is wasted. The best way to explain her disruptive idea and product is to watch this clip. Is there really such a problem as waste in a restaurant? What does waste mean if not a chef’s lack of attention to menu planning and product handling? Dan Barber of Blue Hill at Stone Barns believes that aside from using great, natural, artisanal ingredients, a chef must view every food ingredient as useful and worthy of proper technique. He disrupts the notion that every garbage can in a kitchen should be filled. All of these creative geniuses share in a passion for change, a lack of fear of failure, and the persistence needed to bring a fresh idea to fruition even if it destroys the current model in the process. To them, and to us if we are paying attention, everything evolves into something else. Some of us choose to resist, some go along for the ride, and a few break down the walls in preparation.